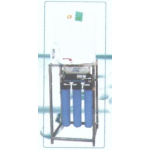 PENTAIR PRF - RO is a reverse osmosis system with on-demand, continous flow, that do not require storage tank and is funcionning without pump or electricity. 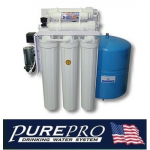 This system features a consistent memembrane efficiency and a high recovery. PurePro Light commercial RO is small in size, but big in capacity. This free standing RO system is only 30 inch in height, but it can produce 400 gallons per day of pure water. 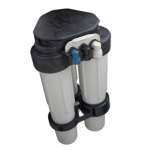 Treatton TRT - RO, to purify water by removing salts, contaminants and other impurities. It is capable of rejecting bacteria, sugars, proteins, particles, dyes, and other constituents.